Until the late 19th century, clocks around the world were set according to local sunrise and sunset. The time of the day was determined by where the sun was in the sky at any given moment and therefore there were several hundreds standard times all around the world. Things changed about 130 years ago thanks to Sir Sandford Fleming, chief engineer at the Canadian Pacific Railway, who had the idea of a 24-hour clock and time zone governed meridians. For at least five years Fleming tried hard to convince the Canadian Government and other countries to adopt the proposed time zones. Arrangements were finally agreed at the International Meridian Conference held in October 1884 in Washington. Removing the multiple prime meridians, Fleming's Standard Time saw Greenwich established as the centre of the world's new clock system and the starting point of the International Date Line. The new Oris Greenwich Mean Time Limited Edition pays homage to this milestone moment in the history of timekeeping. The 42 mm stainless steel case frames a silver guilloche dial with applied indices and Super-LumiNova treated hour and minute hands. In line with the intention to commemorate the introduction of Greenwich Mean Time, the secondary time display at 3 o'clock has a a subtle globe depicting the world's time zones in the background and includes a night and day indicator. Pressing one of the dual pushers, it is easy to jump back and forth between alternate time zones. 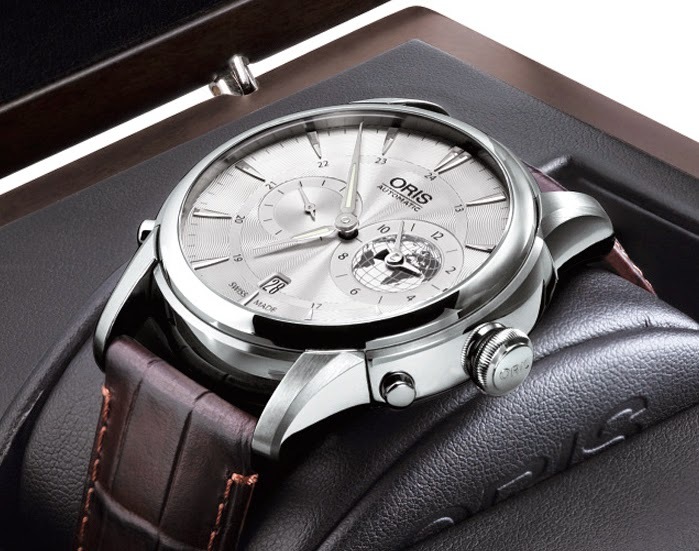 The 4Hz (28,800 vph) automatic movement Oris Calibre 690, based on ETA 2836-2, offers a power reserve of 38 hours. The watch is water resistant to 50 metres. 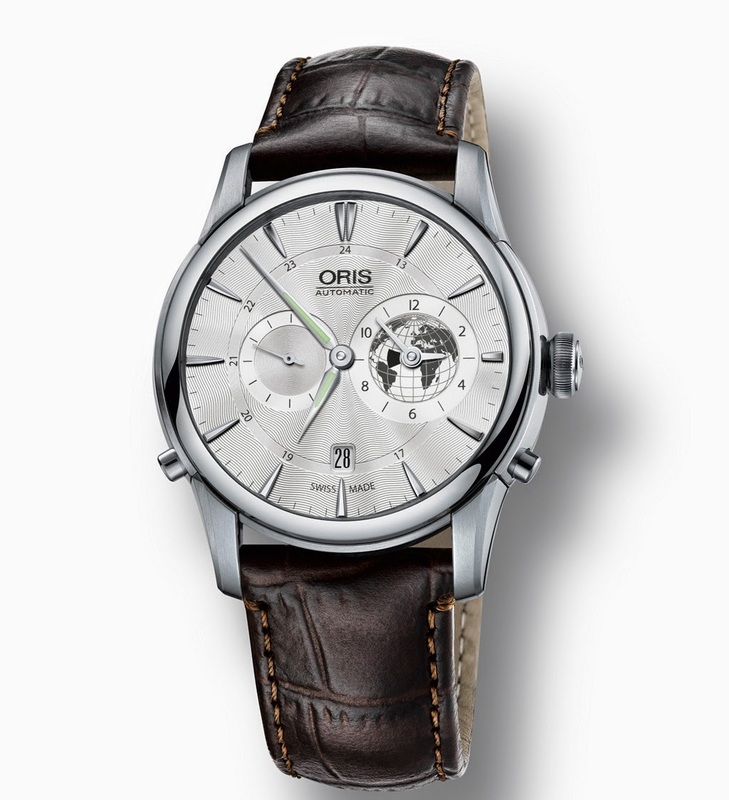 A limited edition of 1000 pieces, the Oris Greenwich Mean Time (ref. 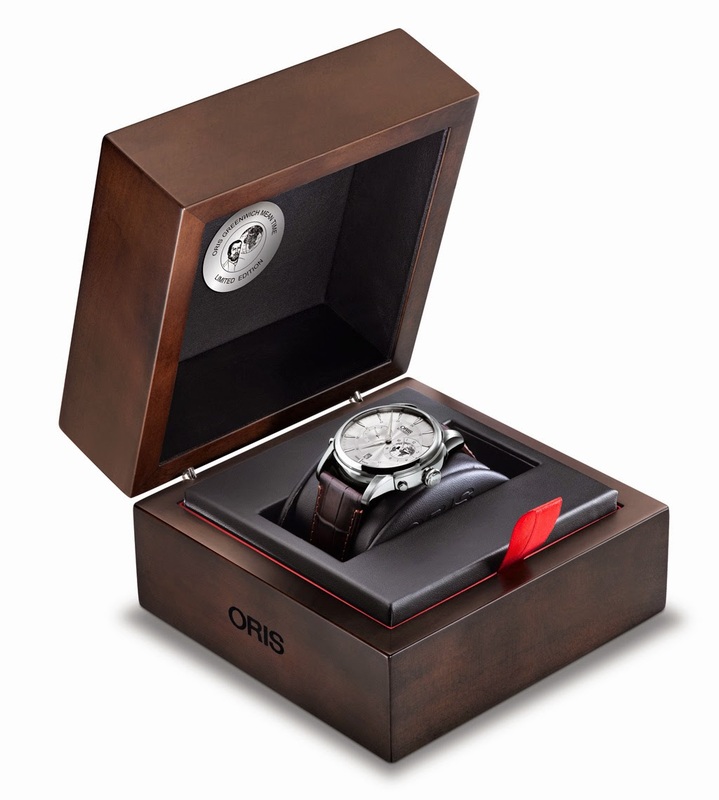 690 7690 4081) is delivered in luxury wooden presentation box and can be matched to a dark brown leather strap or a steel bracelet. The retail price is Swiss Francs 3,300 / Euro 2,900. 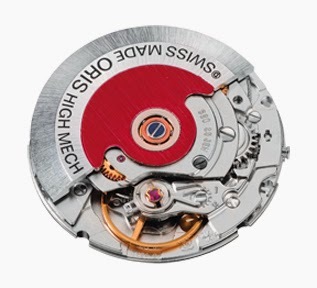 "Oris Calibre 690, based on ETA 2836-2, offers a power reserve of 38 hours and is visible, with its bi-directional red rotor, through the sapphire crystal back-case." This is not true. It has a SOLID Back. Hello Chris, thanks for letting us know. It was a mistake and we have corrected. Until the late 19th century, clocks around the world were set according to local sunrise and sunset. The time of day was determined by where the sun was in the sky at any given moment. Things changed about 130 years ago thanks to Sir Sandford Fleming, chief engineer at the Canadian Pacific Railway, who had the idea of a 24-hour clock and time zone governed meridians. 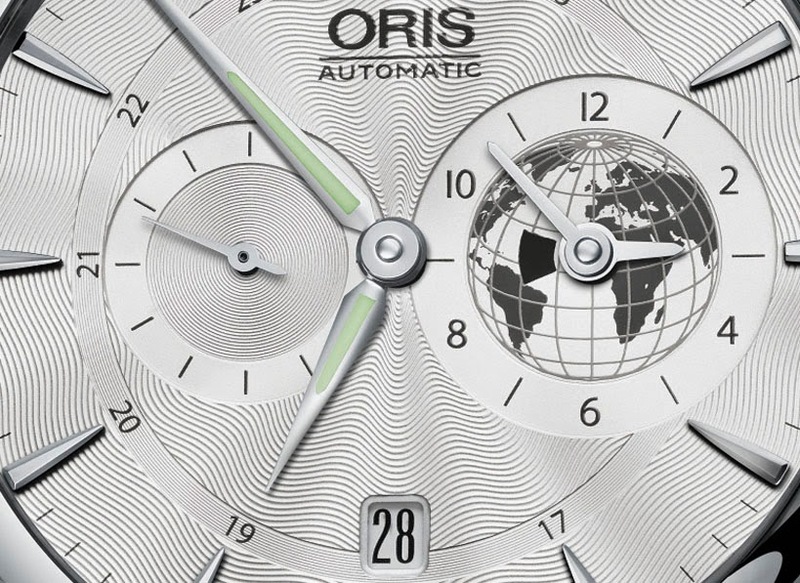 The new Oris Greenwich Mean Time Limited Edition pays homage to this milestone moment in the history of timekeeping. 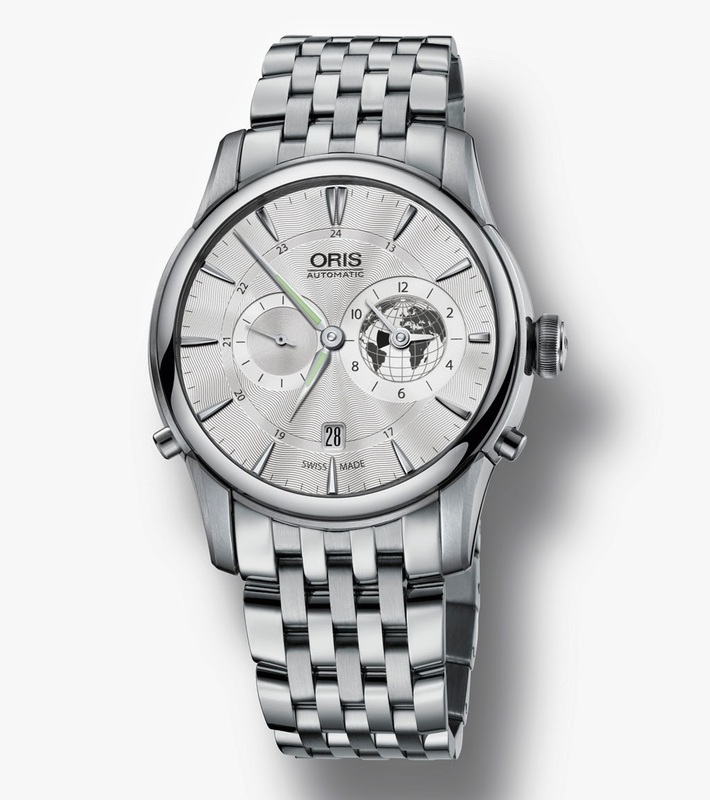 A limited edition of 1000 pieces, the Oris Greenwich Mean Time (ref. 690 7690 4081) has a retail price is Swiss Francs 3,300 / Euro 2,900.